The mainstream press backed up by the polling industry has once more built themselves up into a frenzy of reporting with much certainty that the Conservatives are heading for an electoral blood bath in the local elections, with the London epicentre rippling out across the regions as Corbyn's Labour party is expected to build on last years shock General Election results that crippled Theresa May's government which has had the effect of throwing the Tories into a state of panic whilst many Labour councils are already counting their electoral chickens before their hatched. All whilst forgetting that the same pollsters and pundits got last years general election very badly wrong! And so one has to beg the question are they all badly wrong AGAIN? Which would be for SIXTH ELECTION IN A ROW! On May 3rd 4370 seats will be up for election across 151 councils contested by some 16,000 candidates, where most of the mainstream press coverage appears wholly focused on London as though the rest of the country does not matter or even exist! The key event of this election is the collapse of UKIP who apparently will only be contesting about 500 of the 4,370 seats up for election, and even failing to defend some seats that they won last time! So who will get the UKIP vote? Given that UKIP is a protest party then the most likely to benefit from the collapse of UKIP are those in opposition to each Councils ruling party i.e. for Conservative Councils that would be the Lib Dems and Labour, and conversely for Labour councils. 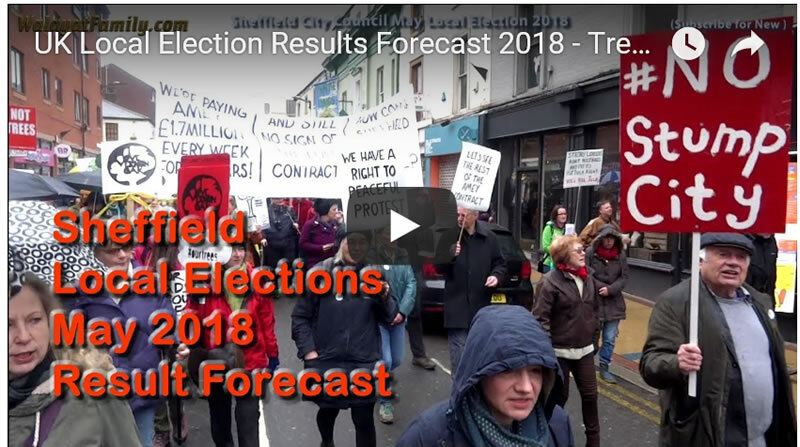 Whilst it will also allow independents and other protest parties such as the Green Party to pick up many seats from the UKIP meltdown, depending on what the particular local issues are in each city. Opinion Pollsters & Pundits Wrong Again? And here's a reminder of why you should take what the mainstream press is reporting, political pundits and pollsters with a big pinch of salt. Considering just how bad they have been in terms of forecasting the outcome of recent elections, such as last years general election that followed getting Trump wrong, Brexit and even the 2015 general election, with the 2014 Scottish Referendum before that! That's Five elections WRONG in a ROW! Note - Yougov in attempts to cover themselves against being wrong again published two opposite outcomes so that they could claim to have called the election correctly whatever the result! What a joke! The bottom line is that in this election the UKIP meltdown will benefit opposition parties, which translates into labour London gains to be offset by regional losses such as in Sheffield. So after the results are in expect mainstream press headlines of "Labour Complacency Resulting in Regional Losses". So the metropolitan elite comprised of politicians and journalists continue to remain largely clueless of what is going on in the city outside the M25.